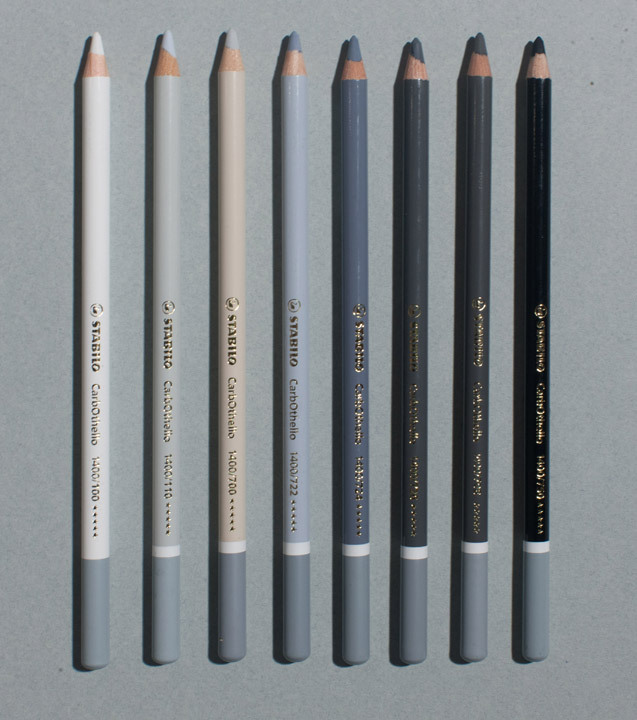 While I have tried many different pencils my preference is General’s 6b and General’s charcoal white. Nearly all of my drawings were done with just these two pencils. They allow for an incredible range in value and with a bit of practice they can be controlled to a very heightened degree. 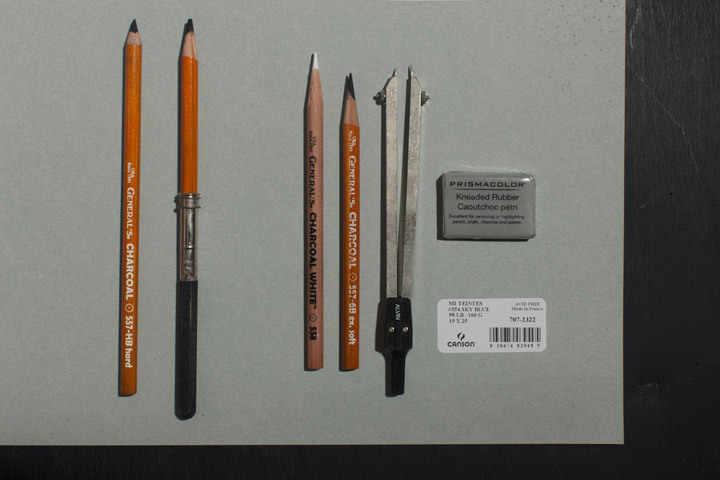 If you’re interested in developing a higher degree of control over charcoal pencils I strongly recommend working through Anthony Waichulis’ curriculum “The Language of Drawing”. The paper I prefer is Canson Mi-Teintes Sky Blue. Any blue based paper will work when you are marrying black charcoal with white pastels. You can mix the charcoal on many different papers and if you use a gray paper there is a little brown that is mixed into the paper to make the gray color. This may lead to adverse effects on your finished drawing, but it’s your preference. Sometimes what looks strange to one artist becomes admirable to another. Through experimentation my good friend Rodney Davis realized that the gray pastel pencils from “Stabilo” work well with the General’s pencils. 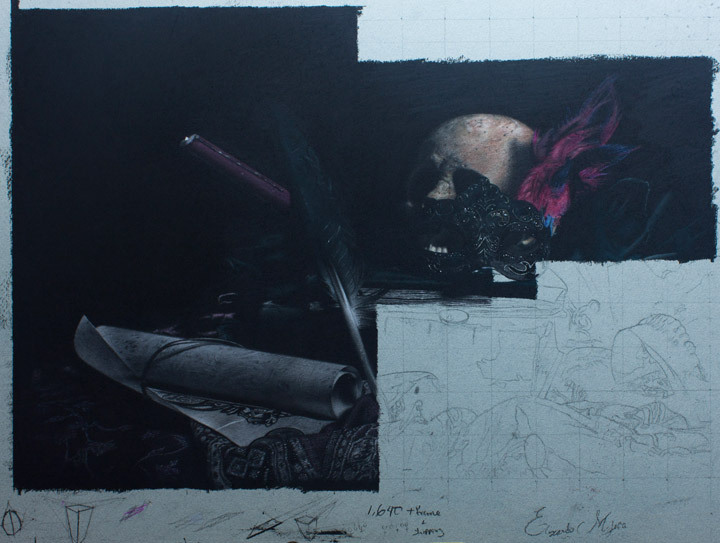 Below is a work in progress by one of my apprentices Romaro Richardson where he is combining General’s 6b and General’s charcoal white with Stabilo gray pencils. I love when apprentices experiment and come up with clever uses of materials. 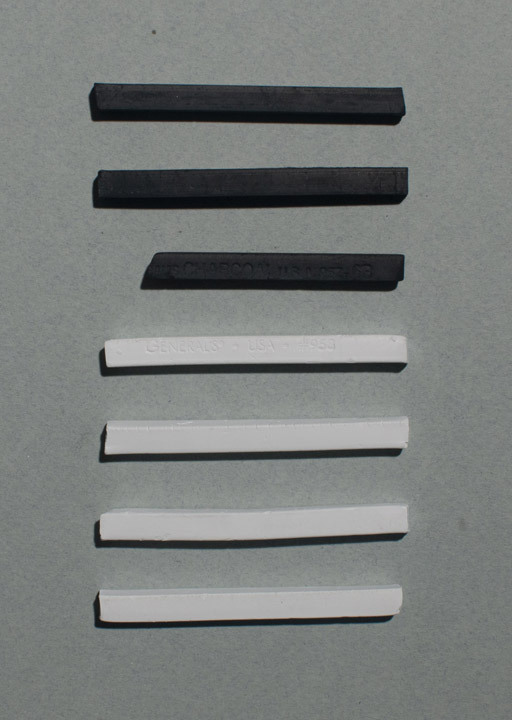 General’s makes white and black charcoal sticks that can be used for large areas. 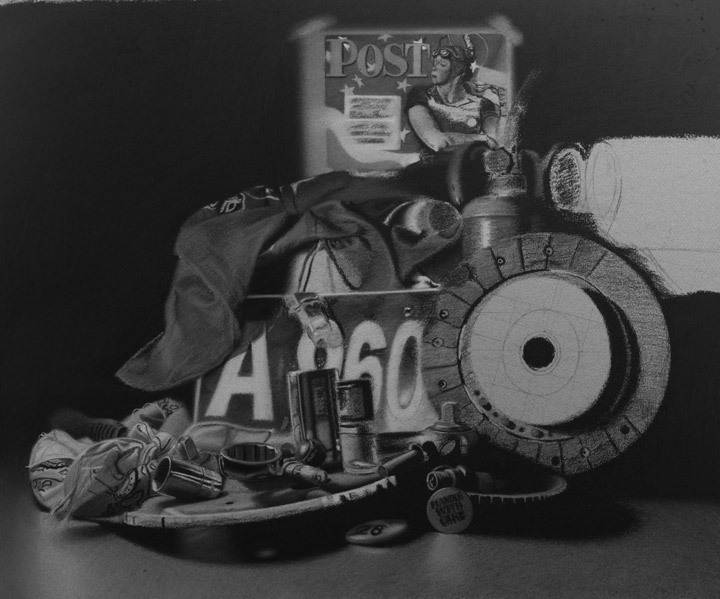 Below is an example of using the black pencil sticks to efficiently cover the background. 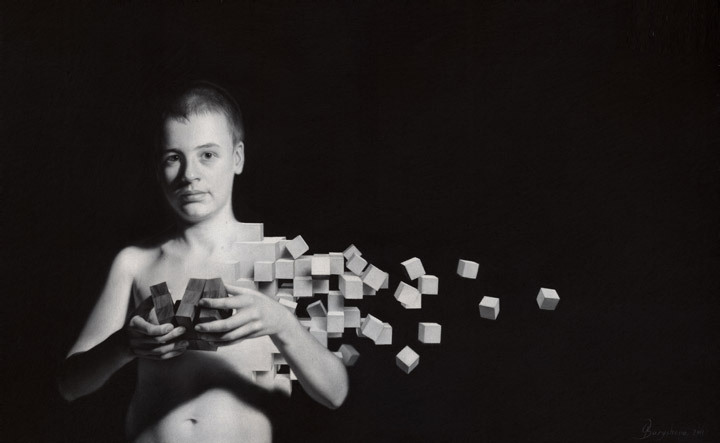 Image by former apprentice Oleksandra Barysheva “Deconstruction of Innocence” 11 x 19 charcoal. 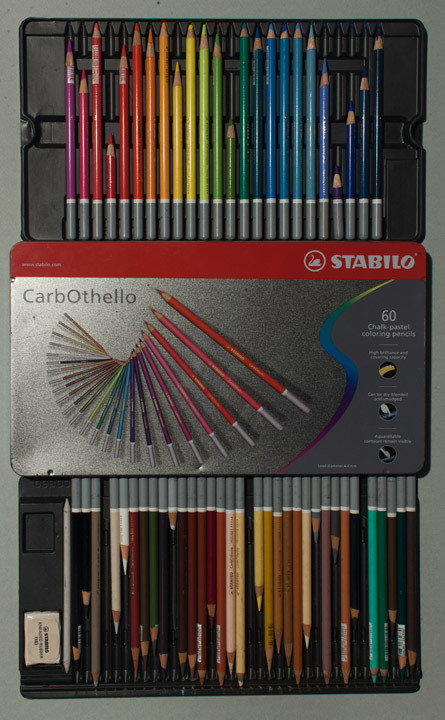 Colored pastel pencils can also be used in a similar technique. I was fortunate enough to see one of my friends and fellow apprentices at Ani, Brian O’neill, do many beautiful colored drawings during his apprenticeship. Many of his fancy techniques were brought into my teaching with Ani Art Academies. Some of my apprentices have taken off with this and below is a work in progress by Elizardo Mojica using Stabilo CarbOthello pencils and General’s 6b and General’s charcoal white. When working in charcoal I will always have a kneaded eraser readily available to adjust any mistakes. Always remember not to rub too hard but rather carefully press the eraser where you want to lift the information off the surface. Other tools I use besides a ruler is dividers which are great for checking measurements. I hope you found this helpful, if you would like to keep up with my blogs please sign up for my newsletter.